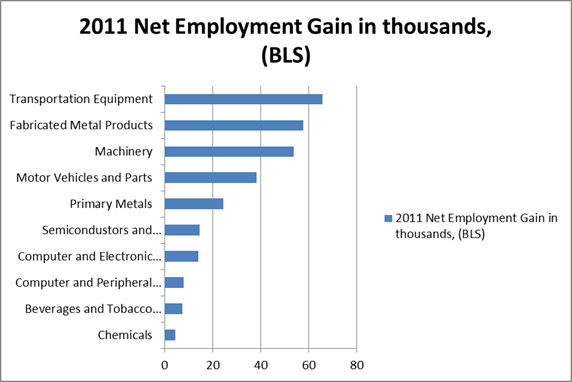 Just the top five manufacturing sectors shown below contributed 239,900 net new jobs in 2011 year to date through November according to BLS data. Leading the way. Data through November. Transportation Equipment: This sector makes up a large share of precision machined industry shipments. Fabricated Metals: 1) Precision machining is a subset of Fabricated Metals. From our conversations with shop owners almost every shop is looking for skilled people for immediate work; 2) Many of our products are sold to customers that are also considered Fabricated Metals. Machinery: We both purchase machinery and make components that are critical to the manufacture of machinery and equipment. 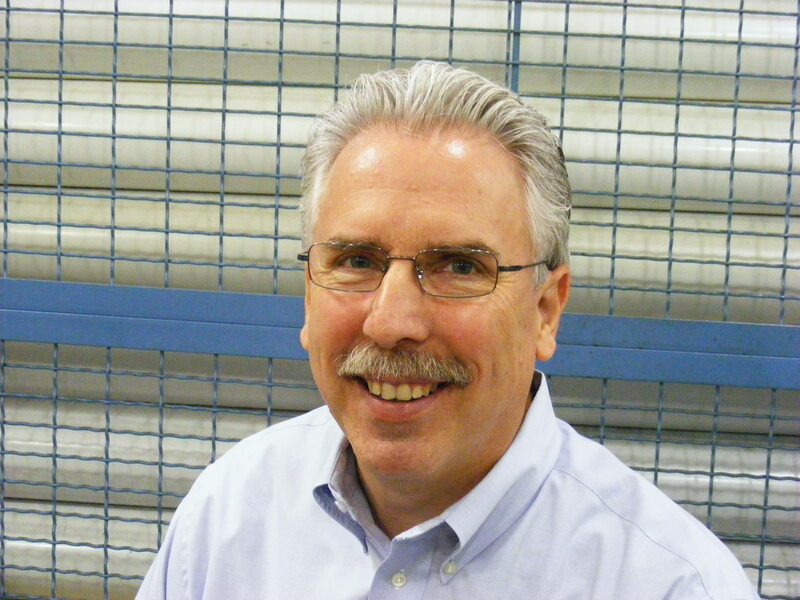 Motor Vehicles and Parts: This is traditionally the largest market served by the precision machining industry. Primary Metals: Our suppliers of the majority of raw materials machined. Semiconductors, Computers : Yep. We make parts for these as well as equipment used in their manufacture. 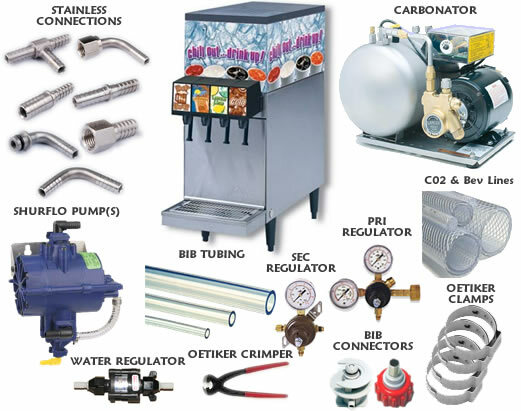 Beverages and Tobacco: That fountain drink you purchased probably was dispensed through nozzles and fittings made by a precision machine shop. Chemicals: We make important sensor, fitting, and pressure vessel components for theis Better things for better living industry. Bottom Line: almost a quarter million net new manufacturing jobs have been added so far in 2011 in manufacturing areas directly related to proecision machining. Manufacturing, not politicians, is leading this recovery in jobs. This entry was posted on Wednesday, December 7th, 2011 at 11:30 am and is filed under Front Office. You can follow any responses to this entry through the RSS 2.0 feed. You can leave a response, or trackback from your own site.